Data: (KA1879) This variety is found in the population at Buitenstekloof, one tiny locality, there which is on the shale. 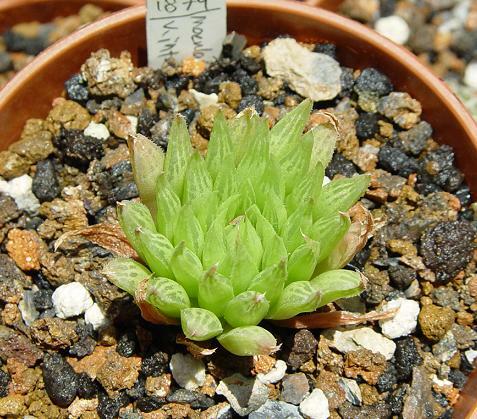 light-green leaves are quite smooth windowed and lines, but differs in narrow, pointed at the leaf tips. having a later flowering time.